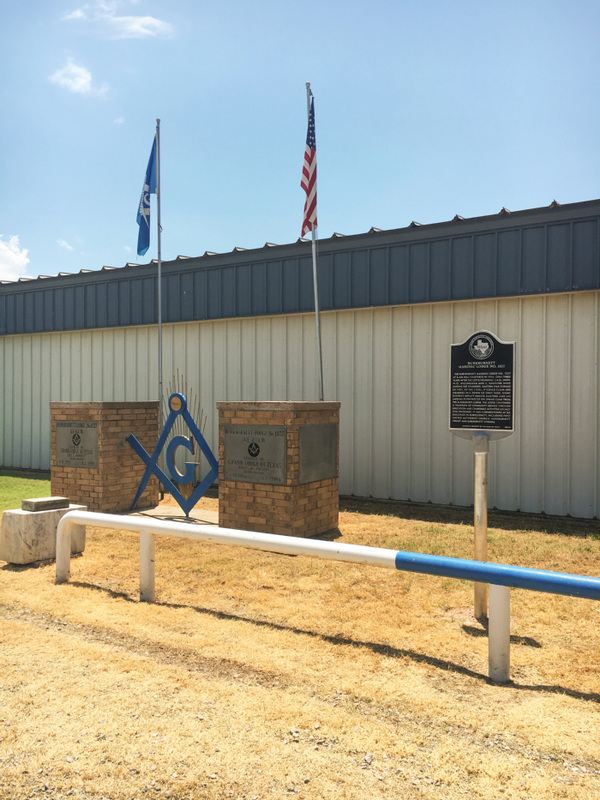 The Burkburnett Masonic Lodge No. 1027 AF & AM was chartered in 1910, only three years after the city's founding. J. A. D. Smith, W. O. Willingham and S. Hawkins were among the founders. Eastern Star formed in 1921. By the 1930s, it could claim 400 members in a town of only 3200. 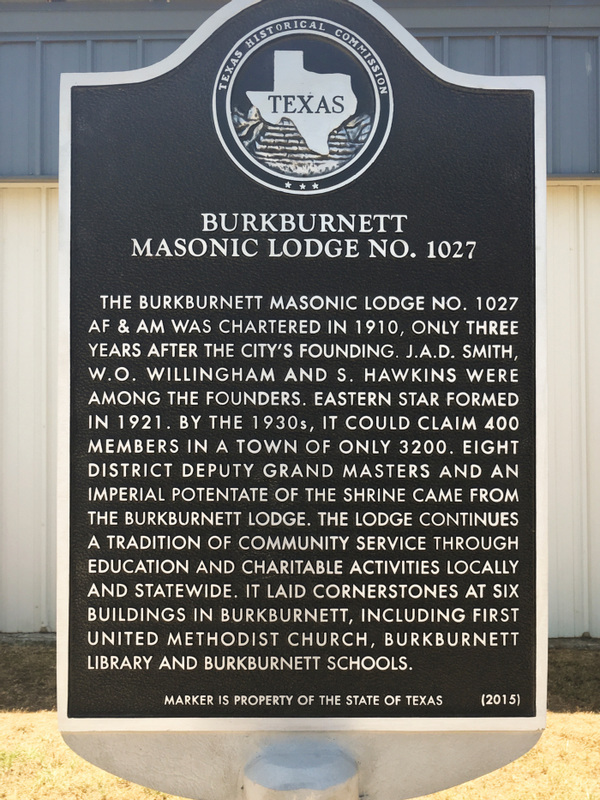 Eight District Deputy Grand Masters and an Imperial Potentate of the Shrine came from the Burkburnett Lodge. The Lodge continues a tradition of community service through education and charitable activities locally and statewide. It laid cornerstones at six buildings in Burkburnett, including First United Methodist Church, Burkburnett Library and Burkburnett Schools. The marker is located at 133 West Williams Drive, Burkburnett, Texas, 76354. GPS: 34-degrees, 5' 14.95" N, 98-degrees, 33' 34.24" W.